Vanguard News Network » Blog Archive » Where Does Free Speech End and Harmful Speech Begin, or, What Would Our White Founders Think? Where Does Free Speech End and Harmful Speech Begin, or, What Would Our White Founders Think? 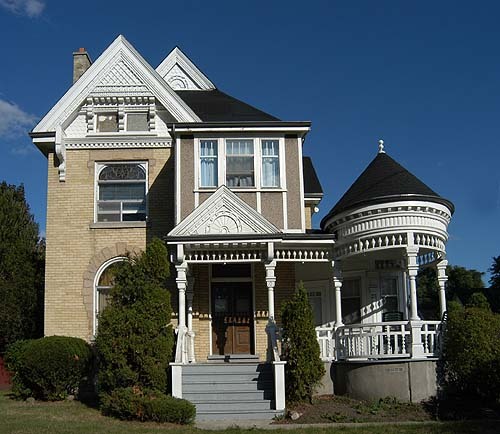 Let’s say that you own a beautiful old house like the one shown above. Would you allow a construction crew to come to your house with sledgehammers and crack the house’s concrete foundation, thereby weakening it forever? Of course you wouldn’t, unless you’re a complete idiot. America’s founders weren’t idiots. Think of America as a beautiful old house as you read this. In 1787 hard-case anti-federalist Patrick Henry called the Constitution a crazy magazine. He warned that it would destroy statehood. I never thought I needed permission from government to express my will. Free Speech is not an invention.